From heatwaves, fires, snow and floods Australia has definitely experienced it all. So to have the boarders in the first three weeks of term. 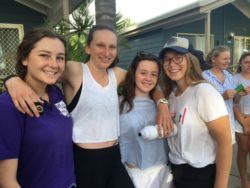 Their academic and co curricular activities are in full swing and it is great to see many girls racing off from the houses of an afternoon sport, Cattle Club, riding lessons, rugby, touch football and the many other opportunities that NEGS has to offer. 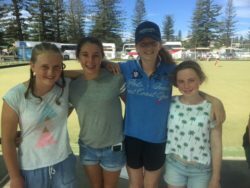 The trip to Yamba was a weekend full of sun, surf, lawn bowls, wall climbing, swimming, shopping and hanging out with new and old friends. 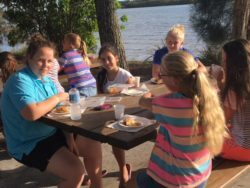 When you go away on camp, coast trip or conference with NEGS students it allows you to appreciate just how great the girls are. 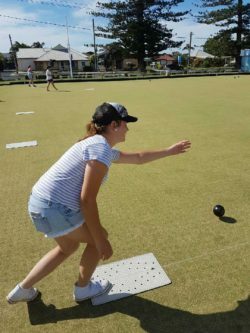 Many complimentary emails have been received by Mrs Evans from members of the public who were either staying at the Blue Dolphin Resort, were at the beach when girls were there or at the Yamba Bowling Club on Saturday afternoon. 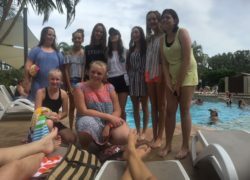 I would like to take this opportunity to not only thank the girls who participated so wonderfully on the trip but to the parents and guardians for raising such polite and enthusiastic young ladies. 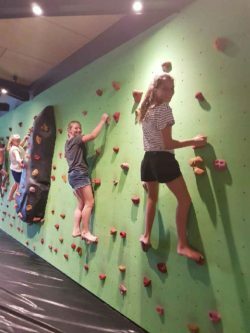 The behaviour of the students was a highlight for the boarding staff who attended. I would like to thank the staff and especially Mrs Donna Garrad for all her organisation of a successful weekend. Year 7 & 8 will move into White House the weekend before Week 4. The laying of the carpet is almost complete and new furniture is being ordered. Thank you to the students, families and boarding staff for being so patient with this at the beginning of the year. Thank you also must go to Mrs Kerry Middleton for overseeing the Year 11 students in White House. I know the girls have enjoyed having her as their House Mother. I appreciate both student and parent support of this management system which NEGS trialled in 2016 and is now part of the NEGS boarding life. This leave allows a student to stay out over the weekend with parents or approved hosts. It requires approval by parents, hosts and House Mother. 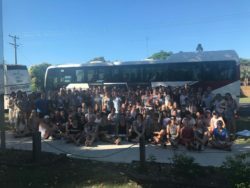 Allows Year 9 – 12 to have 2 hours of town leave depending on their particular Year group privileges (students to consult Year group Boarding Guidelines). If applied for during the week students must return by 5.30pm. Allows a Year 11 and 12 students to take leave on either Friday or Saturday evening to have a meal and/or movie in town with friends. Time restrictions apply. This leave needs to be approved by the House Mother. One dinner leave permitted per weekend. This leave allows a boarder to have extended leave from boarding with an approved host leaving and returning on the same day. This could be for a an outing for one day over the weekend. This leave needs to be approved by parents, the nominated host and the House Mother. Leave during the week for a non school event. This could include family visit including dinner or afternoon tea. This leave needs to be approved by parents, host and the House Mother after email request to Director of Boarding. Leave due to school organised/based off campus excursion which include boarding hours. This leave is approved by the House Mother on receipt of student attendance list from organising staff member. Leave due to school organised competition or non sporting events. This leave is approved by the House Mother on receipt of student attendance list from organising staff member. This where a student indicates they will be off campus due to a NEGS sport commitment. This leave its approved by the House Mother on receipt of student attendance list from organising staff member. Please contact Mrs Stephanie Thomas (stephanie.thomas@negs.nsw.edu.au) if you are having issues with Boardingware. Years 7&8 enjoyed a Saturday at Cinema Under the Stars in Armidale. The movie was The Good Dinosaur and although rated PG there were some scenes that even Mrs Thomas found a little scary. Popcorn was free and ice creams and slushes were enjoyed by all on a very balmy night. Upcoming activities will include: roller skating, ten pin bowling, cooking with Gap students, picnic at Dumaresq Dam, PCYC markets and bike riding in Armidale. I am looking forward to the many participants in these activities. The Armidale Autumn Festival is being held on Saturday 18th March. It is always a great celebration for Armidale which includes a parade through the streets down town. Organisations and schools participate in this parade and at the end there is a fair and stalls to enjoy. This will be a CLOSED WEEKEND for boarders until 2PM on Saturday. Enjoy the cooler weather and wishing all families and friends of boarding families the very best if the recent fires have led to loss of property and/or stock.